An uplifting, breezy, deeply affecting slice of entertainment about ping-pong. Two bats, a tiny white ball and the reflexes of a ninja. Ping-pong. Okay so it's hardly Raging Bull, but this Japanese drama is strangely moving and very enjoyable, telling the tale of Japanese table tennis players and their absolute desire to win. It's all been done before of course, maybe not with regards to table tennis, but that doesn't prevent the film from being engaging, thanks in large to an excellent cast who each play a pivotal role in the films uplifting denouement. 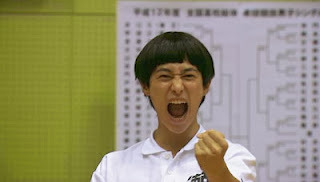 It won't be to everybody’s taste, and it won't rouse your emotions in the way that say, Rocky did, but Ping Pong is a winning Japanese drama all the same. 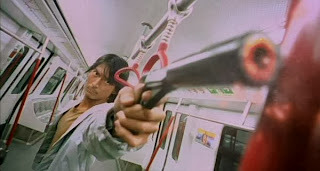 Stylish, violent, moving and bursting with unforgettable imagery, Bangkok Dangerous is a great example of Korean cinema. Telling the story of Kong - a deaf and mute hitman - Bangkok Dangerous is at times a moving tale, depicting the growing relationship he shares with a girl called Fon. In stark contrast the violence is often brutal and always compelling. The Pang brothers are certainly familiar with style over substance, particularly in recent years, but this is one of their meatier productions. Compared to John Woo in style, The Pang brothers have yet to match their early collaborations. Ignore the Nicolas Cage remake. The Pang's have always had a habit of following success with mighty disappointment. You would never bet against them though. A bizarre movie to say the least. Never truly satisfying, but intriguing enough to keep you tuned in. Inugami explores some interesting themes and brings with it some arresting imagery, but the pace of the movie, particularly in the first act, may have you reaching for the remote control. The outcome too is never truly satisfying. Perhaps I'll get round to watching it again someday, if only to see whether the storyline makes as little sense as it did first time around. It's to the filmmakers credit that Inugami remains diverting, even after the last drop of wine is sipped. A slow burner, but worth a look if you're thinking outside the box. Very hard to say anything remotely positive about this lacklustre offering from Japan, apart from the fact that it stars Chiaki Kuriyama (of Battle Royale and Kill Bill fame). Very slow, very dull and not scary. One in a long line of bad horror movies latching on to the success of Hideo Nakata's Ringu. Avoid at all costs. Jackie Chan almost plays it straight in this top-notch prison drama. Don't worry though, there's still a pinch of tomfoolery thrown in for good measure, just to ensure that it stays on the right side of light entertainment. Sammo Hung in particular is a joy to watch as he teams up with Jackie and Andy Lau in this action packed adventure. Occasionally serious in tone, Island of Fire retains a playful sense of humour. Sammo brings much needed comedy weight to proceedings, as our heroes take on the prison regime and some sinister dealings behind the scenes. By today’s standards it all looks a little cheap and cheerful, but this is another enjoyable Hong Kong offering that benefits from a grittier, moodier feel. An all-star cast doesn't hurt much either. Give the man a canvas and he'll create a masterpiece. Or at least, that's what critics would have you believe. Ringu was a work of art, make no mistake about it. When it comes to influence and intensity, few can match the effect that Ringu had on the horror genre. We're still feeling the effects of it now, even after all these years. Ringu defied expectation and opened the door to a new breed of terror. Dark Water merely hammered home the fact. 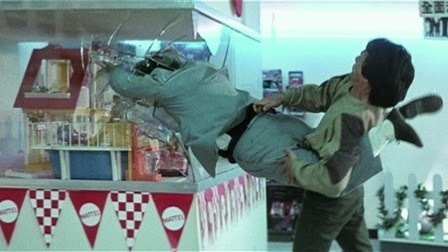 The best of the Police Story saga and arguably Jackie Chan's finest achievement. Often imitated but never bettered, Chan is at the top of his game in this stunt packed, action-packed police drama from Hong Kong. Badboys 2 springs to mind as the opening act unfolds, as do the likes of Rapid Fire and Tango And Cash; each film 'inspired' by Police Story's breathtaking stunts. The original movie remains hard to beat, and its influence is impossible to ignore. Come to think of it though, part three was pretty damn sweet as well. When it comes to picking out the best movie of Jackie Chan's long and illustrious career, for me it's a toss up between Police Story and Project A. Project A just about steals it though, thanks in large to a stunning ensemble of martial arts heroes. These guys have been making films together for years, and Sammo Hung and Yuen Biao provide excellent support for Jackie Chan's adventuring hero. The storyline takes a back seat to the action comedy, but it's very hard to care when the stunts are so spectacular. The clock tower set piece is unforgettable, as is the bicycle chase through South China backstreets. 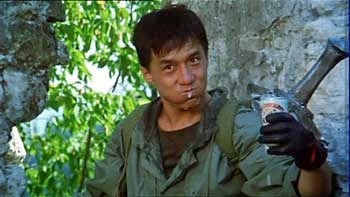 Remember a time when Jackie Chan was sitting on top of the world, Project A is the pinnacle of his success. Another top notch Jackie Chan offering. Our pint-sized hero stars as The Asian Hawk in a riff on The Indiana Jones saga. Mixing offbeat humour with spectacular stunts and dazzling choreography, Jackie shines in this high flying, explosive, and slightly degrading tale about the search for a mystical artefact called, um, the Armour of God. Obviously. Some of the early action sequences are pretty violent, especially for a Jackie Chan vehicle, and some of the sexual stereotypes are a little bit dated, but that's what you come to expect from an 80s Chan movie. Female leads do seem to get a hard time of it in Jackie's world. Being a guy, however, I did find myself sniggering as the movie weaved its undeniable magic. Not the best film of Jackie Chan's career, but a very satisfying one none the less. 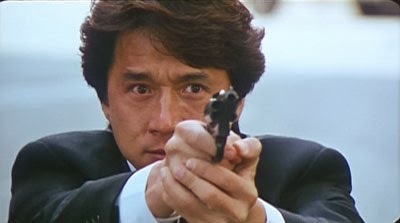 A change of direction for Jackie Chan, Crime Story tells the tale of an undercover agent assigned to protect a wealthy businessman abducted in a kidnap attempt. Far more restrained than previous offerings, Jackie flexes his acting muscles for a change and it's a welcome deviation. Refreshing to see, with a harder, more realistic edge, the plot is strong enough to keep you watching until the final credits roll. If you're a Jackie Chan fan this could be a pleasing alternative to the madcap antics we've become accustomed too. If you're not, how come you're still reading?